Sangu Mandanna was four years old when an elephant chased her down a forest road and she decided to write her first story about it. Seventeen years and many manuscripts later, she signed her first book deal. She is now the author of The Lost Girl and A Spark of White Fire among others. She lives in Norwich, England, with her husband and kids. Here’s something I’ve never told anyone: when I was 14, I would spend hours on Sunday afternoons listening to the soundtrack of Les Misérables and acting out all my favourite parts. I was Valjean, Fantine, Eponine, any and all of them. And I never told anyone about it because I felt silly. After all, I was never going to play any of those parts in a real show. None of those characters looked like me. This was true of almost all the characters I loved growing up. Hermione, Elizabeth Bennet, Elizabeth Wakefield, Princess Leia, Belle, even Mulan. I always knew, much as I loved them, that I could never be them. I would never be the girl in the rom-coms, the heroine of that beautiful historical drama, the awesome princess in space. In fact, I remember I was absurdly attached to Parvati Patil in the Harry Potter books because, well, she was someone I could be. She barely appears in the stories, but I clung to her. I remember that. She was all I had, so I settled for her. So it will probably come as no surprise to anyone to learn that when I started writing stories, they featured me. I mean that quite literally. My first detective story was about a plucky sleuth called Sangu, and it was truly terrible (In my defence, I was nine years old!). I printed it off, and even glued a photo of myself on the back because I thought that would make me feel like a real author. 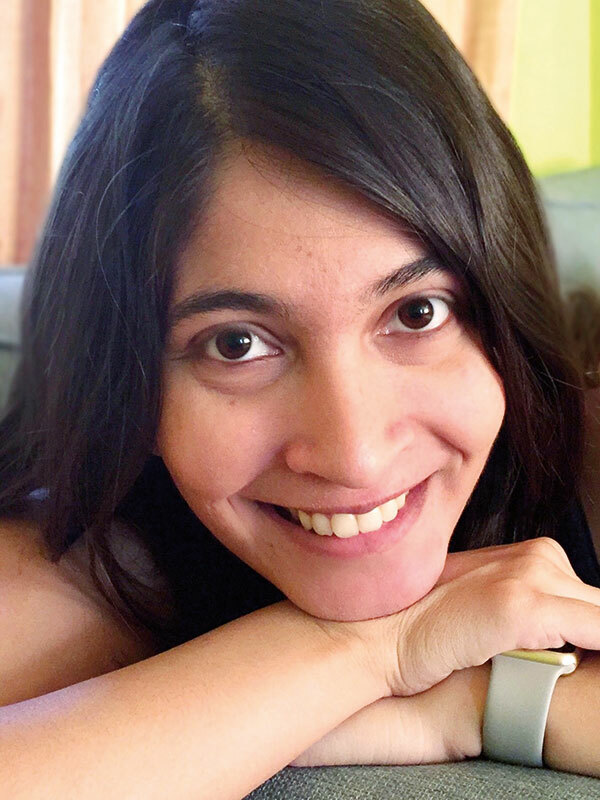 As I got older, I wrote other stories, better stories, but they always had one thing in common: there was always a character in there who looked an awful lot like me, like my friends, and like the millions of other brown girls around the world who don’t see themselves in stories as often as they should. In A Spark of White Fire, my version of Karna is a girl called Esmae. A servant girl, an orphan, a nobody. She is, as she puts it, a mere pawn in a game of chess. She has to fight for every inch of space she claims in the world, but fight she does. She won’t be pushed aside. She won’t be the one standing by in the background of someone else’s story. There’s a moment in the book, at the beginning, when Esmae steps out of the shadows and demands the glory everyone else claims as their right. Do you know what happens when a pawn gets all the way across the board? she asks the reader. She becomes a queen. Esmae’s story is a reimagining of Karna’s, but it’s also a reimagining of mine. I wanted her to be someone I could see myself in, someone my children could see themselves in. I wanted her to carve out a place for herself in spite of the world trying to push her out. I wanted her to be my princess in space. I thought a lot about Hermione, the two Elizabeths and Leia as I wrote A Spark of White Fire. And I thought a lot about Parvati Patil. It makes me so happy that girls like me don’t have to settle for a sliver of a character anymore. We don’t have to settle at all. Now, we have so many wonderful heroines to choose from. We have Aru Shah, we have Laia of Serra, we have Maya Aziz, we have Dimple, we have Kiranmala. And, to my eternal pride, we have Esmae. I was nine years old when I first wrote a story about a girl like me. I’m now 30 years old and I still write stories about girls like me. The only difference is the rest of the world gets to read them now.